Definitely one of the classic "forgotten" tracks from the '99 Trance era. 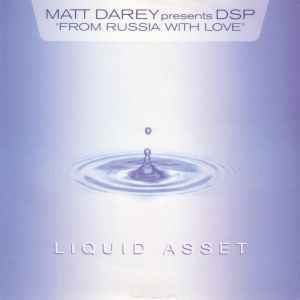 Matt Darey's original mix has that chunky, driving vibe that made him famous, but it also has a dark mysterious energy that combines very well with the uplifting rhythm. Of course, this track borrows heavily from Darey's seminal masterpiece, 1994's Point Zero. The Solarstone remixes are superb too, in particular the Red City remix. Very reminiscent of their remix of Space Manoeuvres - Stage One, it's got a more progressive flow but still retains all the dark melodic beauty of the original. The breakdown, with the luscious spanish guitar riff, is simply wonderful. Also very worthy of mention is the ambient mix by Alaska, which to my knowledge is unavailable digitally (unmixed, at least). Absolutely mesmerising. A quality release. Certainly a trance classic in my opinion. This release contains (in full) both solar stone mixes, and the oliver lieb mix. So this release is the one to go for as you get all the mixes, and in full.